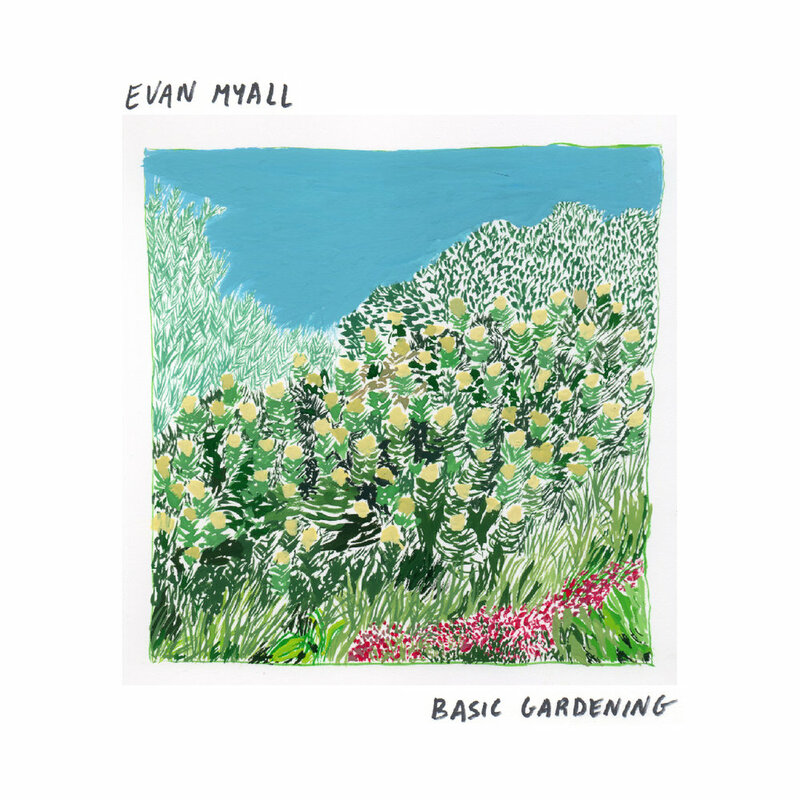 Songwriter, guitarist + self-proclaimed music lifer evan Reiss, aka Evan Myall (his middle name), dropped his debut solo EP Basic Gardening last month, and we can’t stop listening. The 6-track EP features collabs with many of his friends + covers a spectrum of themes including love, lust, friendship, heartbreak, + destruction. To all of our Northern California friends, be sure to check out his show at Cafe Du Nord next week. We chatted with him on his EP, his sound + what’s next. Asymmetric Magazine: Congrats on your release of Basic Gardening! Can you tell us a little bit about it? Evan Myall: Thanks. Yeah—this is my first 'solo' recording. I say 'solo' in quotes, because I had a bunch of awesome friends play on the record. They are tunes I've written over the years—both new and old. The first track Devil's Shoes was written almost ten years ago. I wrote the second track Who right before we went into the studio. I still think there's a nice cohesiveness to it despite the large window of time. AM: What message do you want people to take away from the EP? EM: I tried to make these songs as relatable as possible. My mother once told me I should write songs that everyone is able to identify with. I had that wisdom in mind during the writing and recording process. My hope is that people enjoy the music and be excellent to one another. My hope is that people enjoy the music and be excellent to one another. AM: How would you describe your sound? AM: Did you face any challenges when creating this EP? EM: I don't remember it being challenging. I guess the mixing process was kinda tough—too many ideas and not enough time! Other than that, it was quick and fun thanks to the people I worked with: Bobby Renz (producer/multi-instrumentalist), Owen Kelley (guitar, bass, keys), Hannah Moriah (vocals), and Tyler Green (guitar). Check out their music! EM: I chose the title Basic Gardening because I wanted to highlight the music's simplicity, importance, and potential for growth. Love, lust, friendship, heartbreak, destruction, and doom are all covered. EM: First, a performance at Cafe Du Nord in San Francisco on December 22nd to celebrate this batch of songs. Then, a vinyl release of Basic Gardening in 2019. Finally, I have 10ish new Ev jams that I'm looking forward to recording. // Listen to more Evan Myall on Spotify.